The top returning sprinter is senior Jelani Al-Malik of Mission. Al-Malik is the defending All-City Finals champion in both the 100 and 200 meter dashes and was a State Meet qualifier in both. Lincoln junior Luis Contreras will challenge in the 100 and Lincoln senior Nathan Zhou is the No. 3 returner in the 200. Lowell sophomore Jason Tsui swept the 100-200 at the Frosh-Soph level with times that should put him in the mix for podium spots this spring. Mission junior Tyrek Laurent is the returning All-City champion in the 400 and was a State Meet qualifier. Note: Ethan Wong of Burton Academic competes in the adaptive wheelchair division. He qualified for the State Meet in the 100, 200, 400 and shot put. He was fourth in the 100 final and won the 200 final. Lowell senior Noah Battaglia, the SF Section Boys Cross Country Runner of the Year, is the only returning All-City champion from 2018. Battaglia out-distanced teammate Ian Lawrence by 2.10 seconds to win the 3200 title last spring. Battaglia and Lawrence are two of six returners from among the top-seven in the 1600. Burton Academic sophomore Jamison Smallwood was the runner-up in that race last year followed by Battaglia, Lawrence, Lincoln sophomore Charlie Moore, Lowell senior James Holcombe and Washington senior Carter Murphy. 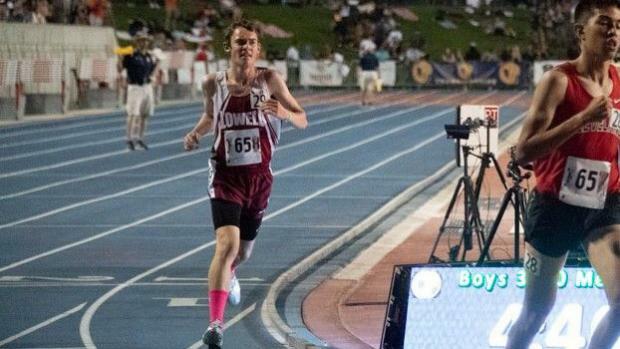 Adding to that returning 1600 depth is a quartet from Lowell's dominant distance program -- now-juniors Zachary Parker, Norton Choy and Owen Choy, and sophomore Andrew Blelloch -- all ran times in the FS race that would have placed ahead of Moore in the varsity final. Parker, Choy and Burton Academic's Daniel Cavanaugh, also a junior, will push the pace in the eight-lapper. Parker's time in the FS division was fastest of the meet by 4.41 seconds better than Battaglia. Note that Battaglia was only section athlete other than Wong to compete in the State Finals, which he did in the 3200, which does not run a Friday preliminary. Balboa senior Gabe Delfin is the returning champion in the 110 highs and Washington junior Eric Hickerson is the defending champion in the 300s. Two returning throwers from Lincoln were State Meet qualifiers last spring, senior Eugene Larios-Felton in the discus and junior Leo Gallegos in the shot. Anaya Jolivette, a sophomore from Leadership Charter, is the defending All-City champion in the 100 meters and was third, and is the top returner, in the 200. Lowell's senior duo of Emily Lim and Kathleen Mai were only fractions of a second behind Jolivette in the 200, which should make for fun racing this spring. While Washington junior Kiara Neely was the section runner-up in the 400 and is the top varsity returner, Lowell sophomore Brianna Grissom won the Frosh-Soph division race with a time .30 seconds faster than Neely. There are no varsity returning champions in the distances but all three runners-up will toe the line in 2019 as the girls to beat. In the 800, Lowell sophomore Sophia Ladyzhensky was 2.10 seconds faster than teammate Michelle Wong (now a junior) for second and third on the podium. Lowell sophomore Paloma Suarez-Davila's time in winning the Frosh-Soph 800 would have challenged for a varsity podium spot. Lowell junior Emi Steedman was the runner-up in the 1600 and placed third in the 3200. Washington junior Robin Fong's time in the 1600 was only .20 behind Steedman in winning the FS division, with a pair of Lowell now-sophomores Claire Low and Julianna Chen right there in the FS race. Lowell senior Charlotte Greenhill was the runner-up in the 3200 and Suarez-Davila was the FS winner. Keep an eye out for the two top runners from the fall, a pair of freshmen from Lowell, Elizabeth Holcombe and Jenna Satovsky. Lincoln seniors Isabel Miner and Clare Delucchi are the top two returners in the 100 hurdles with Minor as the clear favorite to repeat. Minor was a State Meet qualifier.